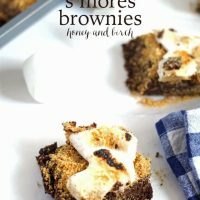 Take your favorite brownie recipe (or mine!) 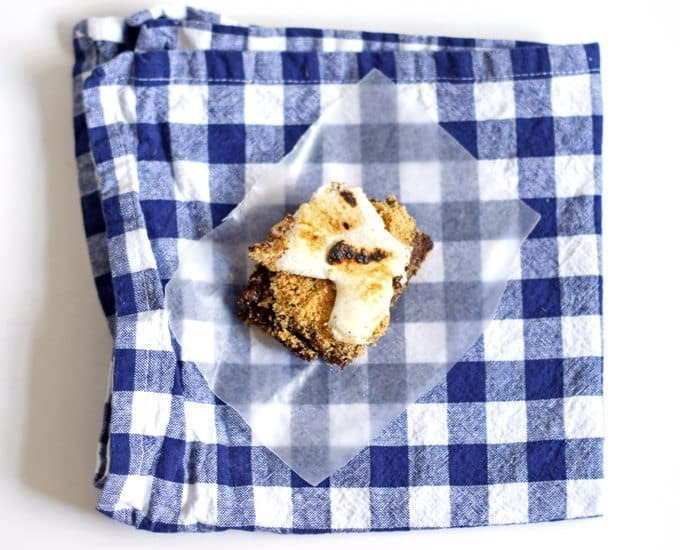 and make these s’mores brownies! You won’t be able to eat just one! Lately, I have found myself with an over abundance of a few ingredients. First, it was a ridiculous amount of mushrooms. Now, it’s cups and cups of crumbled graham crackers. But he was a doll and bought me exactly what I asked for. So now I have most of a box of opened crumbled graham crackers. Opened means they’ll go stale if I don’t use them sooner than later so time to get cooking. First thing that came to mind was s’mores. The s’mores thing has been overdone but I’m still jumping on the train. There is something about melted chocolate and gooey marshmallows on graham crackers that makes me happy. I have tried a lot of brownie recipes but for this recipe I wanted something really fudge-y. 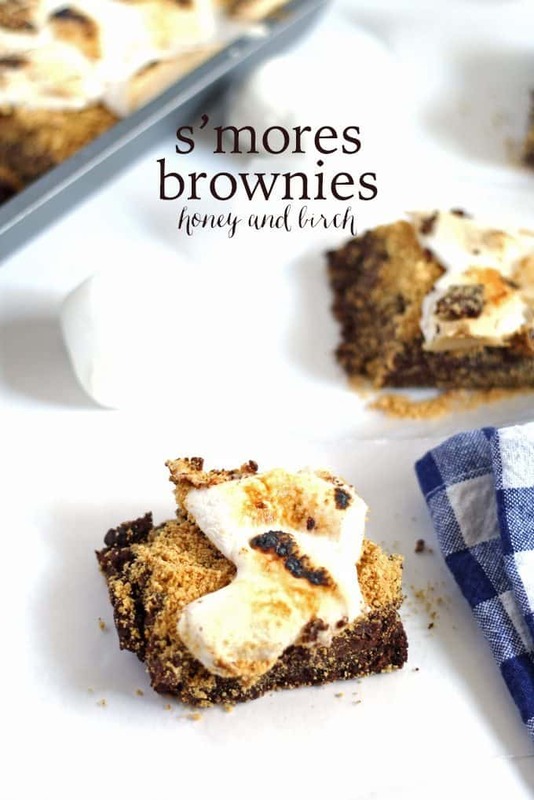 If you have a favorite recipe for brownies, you can use it instead of this one (just do instructions 3 and 4 then.) Because the graham cracker crumbs are sprinkled on top, this gets a little messy. But I think its worth it. And if you find that your marshmallows aren’t melted enough, you can always take a creme brulee torch to the top of your pan. 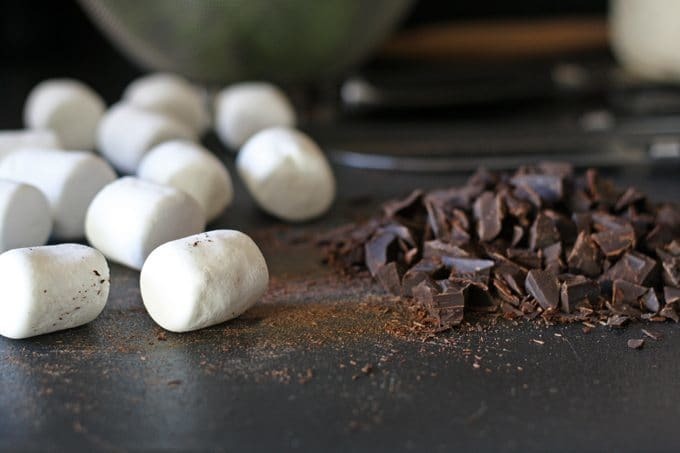 Another tip: wait until the brownies are completely cooled before you cut them – I would even suggest using an up-and-down cutting motion to get through the melted marshmallows. Otherwise, they really stick to the knife. In a medium saucepan over medium heat, melt the butter. Remove the saucepan from heat and stir in the chocolate until smooth. Whisk in the sugar, eggs and vanilla extract, then stir in the flour until just blended. Pour mixture into the prepared pan. Use a butter knife to smooth down. Bake for 20 minutes, then remove from oven. Sprinkle the graham cracker crumbs evenly over the brownies. 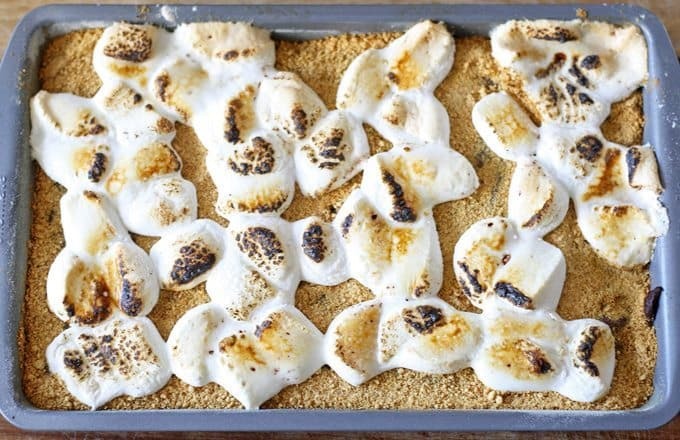 Spread the marshmallows over the top of the graham cracker crumbs and return to oven. Bake for an additional 5 minutes. Check the brownies with a toothpick until the center comes clear. OMG I love everything s’mores! what a great idea! these will be a hit with my kids! These look so fun. I’m from England so we don’t really do smores but I’ve always wanted to try! No s’mores?! 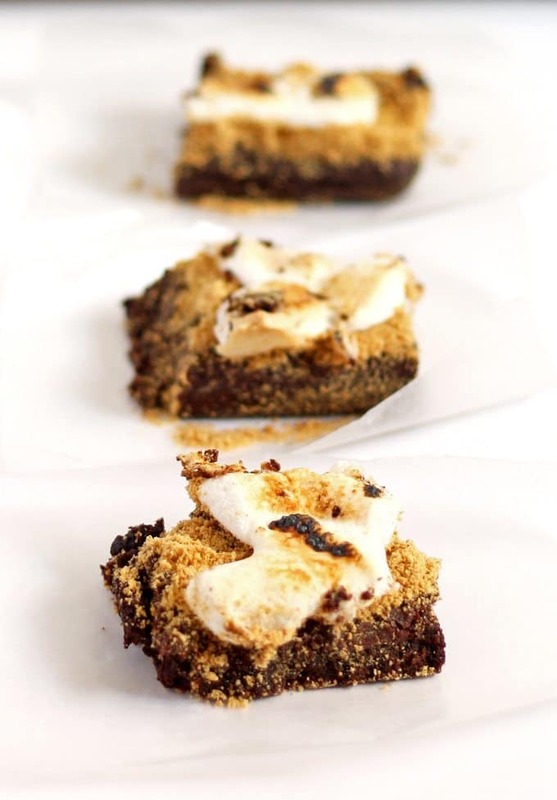 Try them out please- either in brownie form or traditional s’mores. They’re delicious! These look really tasty! I am so going to try them soon. Wow the pictures are amazing. Smores look yum!! Look so good if I had the stuff on hand I’d go make it now. I’ll be taking this to our next pot-luck for sure. I love this recipe, it has simple ingredients and sounds easy to make. Thanks Karen! It is pretty easy to make, thanks to pretty much just using the one pot to melt everything together.